Merry Christmas, girls!! ❤ I'm sure this festive season keeps us occupied with loads of parties and dinners, and Natta Cosme is so kind to send me a Christmas surprise, imported all the way from Korea. remember to pamper your skin and take good care of it! 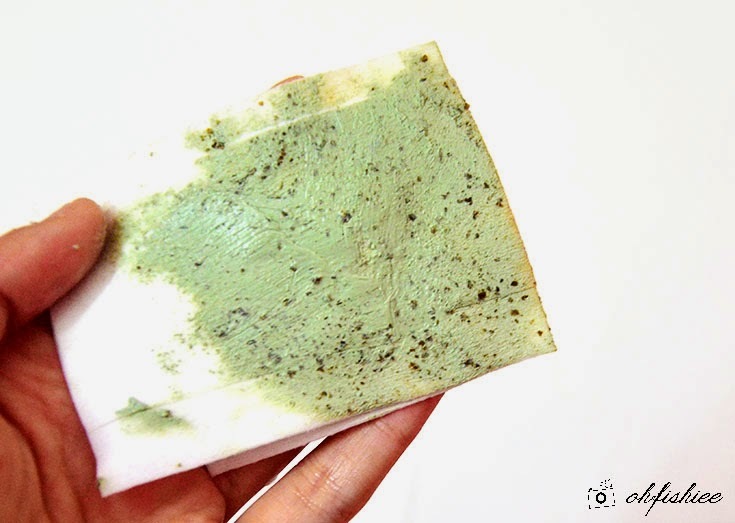 Have you heard of SKIN & LAB? It is not just another cosmetic brand, but a specialized label to provide dermalogical solutions for the skin. 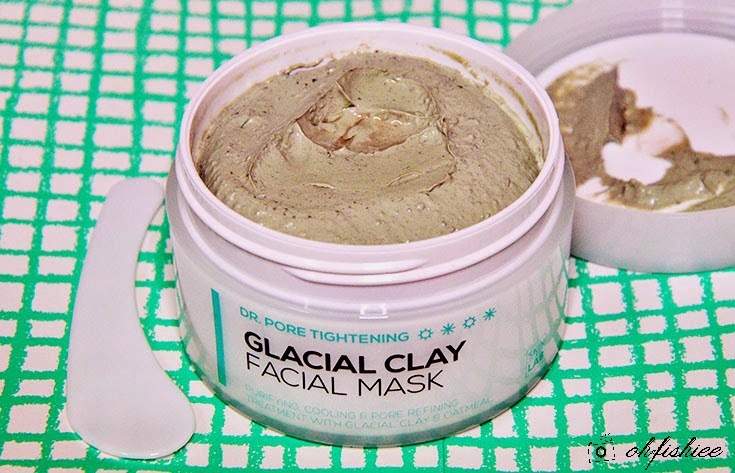 And this Glacial Clay Facial Mask is one of the best-selling products in the range! 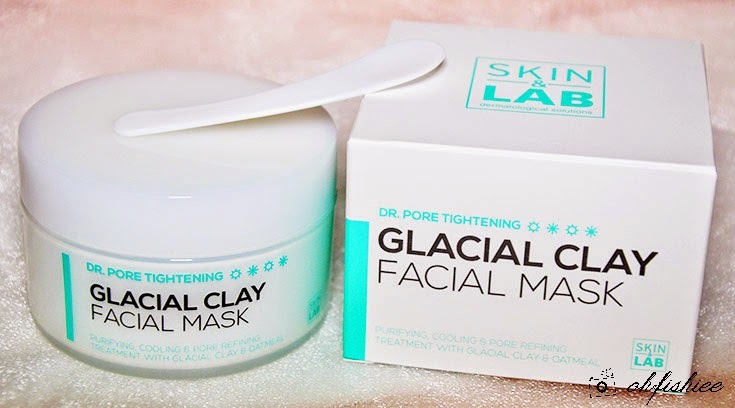 I must admit that face sheet masks are way more convenient for me, but sadly, those can never provide instant solution to the open pores and oily condition of my skin :( So I'm trying out this Glacial Clay Facial Mask as it is proven to deeply purify the skin, and able to minimize enlarged pores and firm the sagging pore walls. 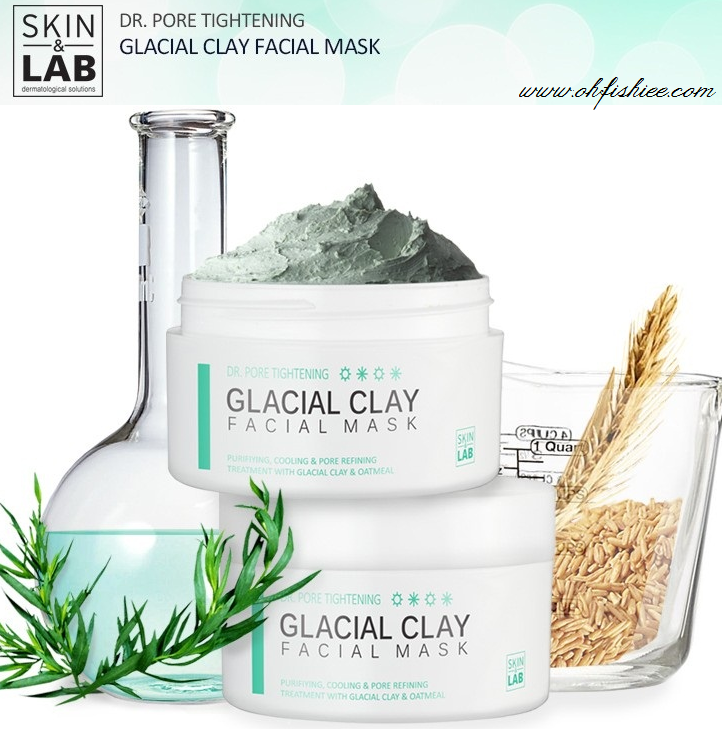 Canadian glacial clays have always been known for its beautifying properties--- Heal acne, reduce blemishes, and improve skin tone, firmness, and overall skin appearance. I'm looking forward for its long term results for clearer, firmer and poreless skin! 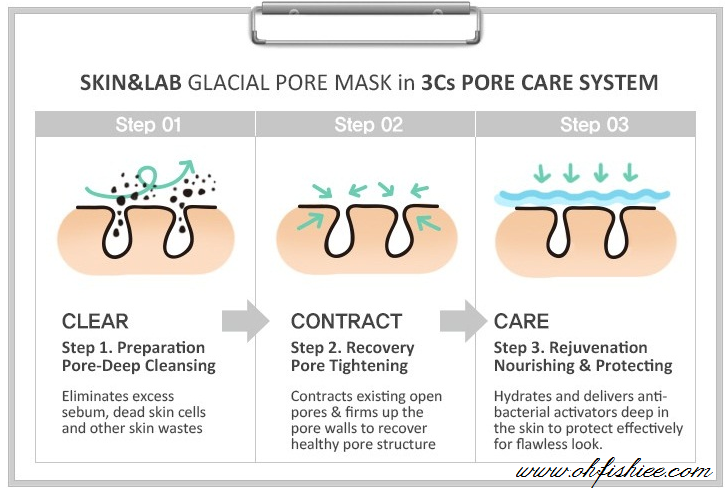 I'm curious about Skin & Lab's special 3C's Pore Care System: Clear, Contract, Care. From pore cleansing, tightening to rejuvenating the skin, I wonder how effective would it be. 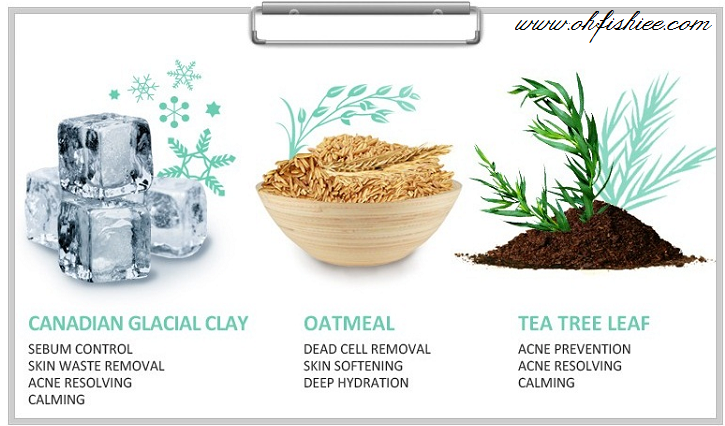 The clay mask is very soft with creamy mud-like texture and a little 'sandy' due to the crushed oatmeal content. but I know the mask is 'working' its way to penetrate deep into my skin. Goes to the spatula! It is very hygienic and convenient for use. Not messy at all! During the application: I love applying a thick layer but I realise that it would be a waste because not all of the clay goodness can penetrate into the skin. So I'd recommend a thin application will be great, plus it is quicker to dry. 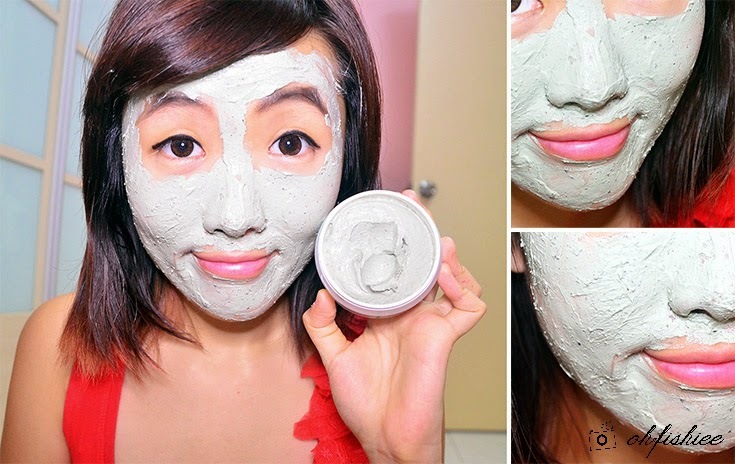 After 15 minutes: The mask dries up but it doesn't give any 'tightening' discomfort on the face. When the clay mask changes to lighter colour and feels more 'grainy', it's time to wash it off! to control excess sebum secretion OR over the body/neck because it's so soothing! The result is....uhhhh-mazing! I'm surprised that the open pores on my cheek are less visible instantly. It also calms the skin, so less redness too. 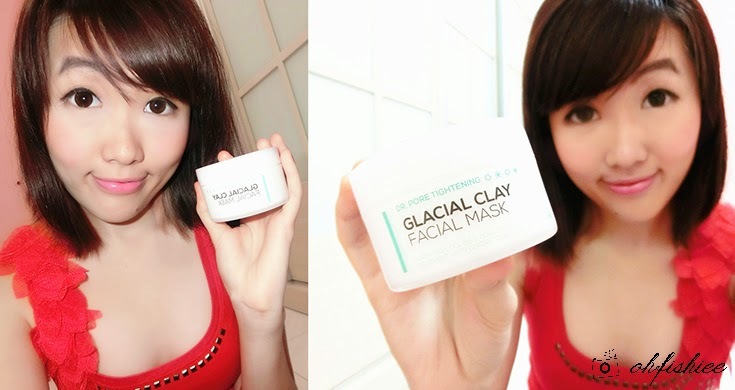 My skin feels deeply hydrated and doesn't 'shine' like before, all thanks to the mask for removing the excess sebum! I have only used this mask once, and the result is so great! 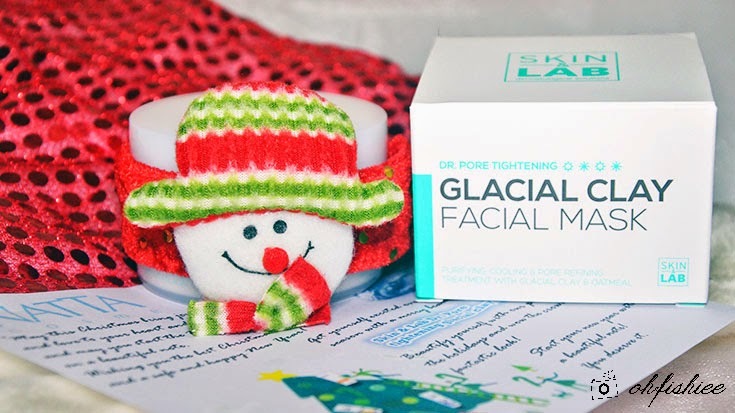 Love the cooling after-effect, and my skin feels more supple by applying toner and moisturizer after the mask. 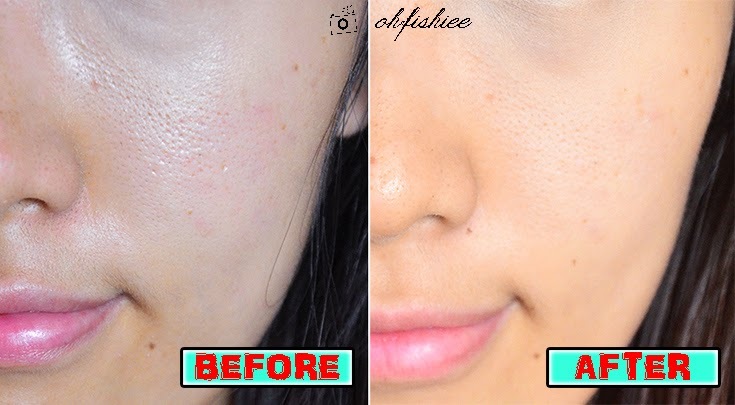 It is not just an instant "cover up" product for the skin, but an effective one especially for those with oily skin, blackheads and open pores issues. Love it!! 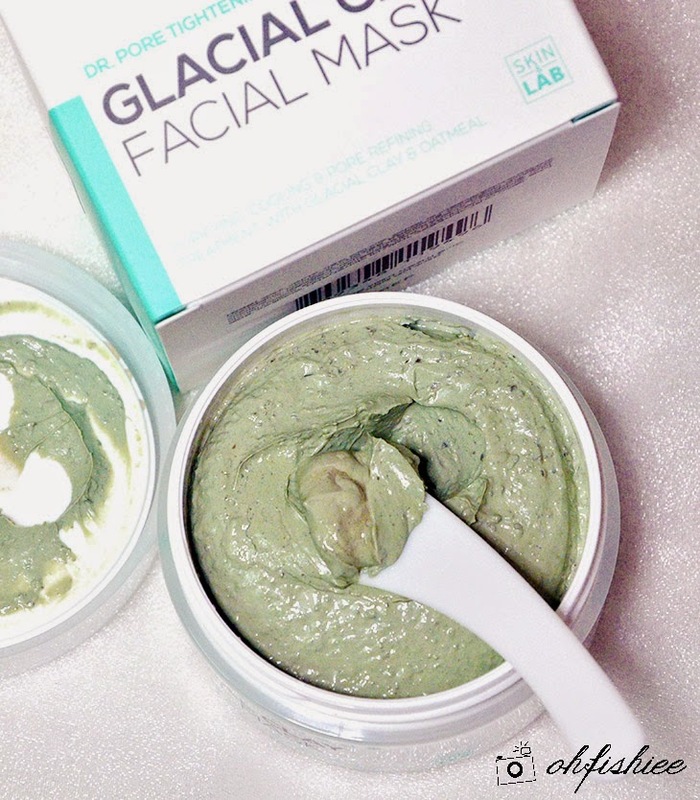 Although it is not as good as Glamglow Youthmud treatment mask (Click HERE for review), but comparing both the prices (Skin&Lab costs only 1/3 of a bottle of Glamglow), I think Skin & Lab Glacial Clay Mask has done a decent job! Does it really helps to remove black head and white head? Coz i've been facing this kind of problem, though not obvious but kinda irritate when i see that lol .